Excreta and wastewater sludge are resources for making biogas. Finding ways to put them to their best uses is part of developing sustainable technologies. 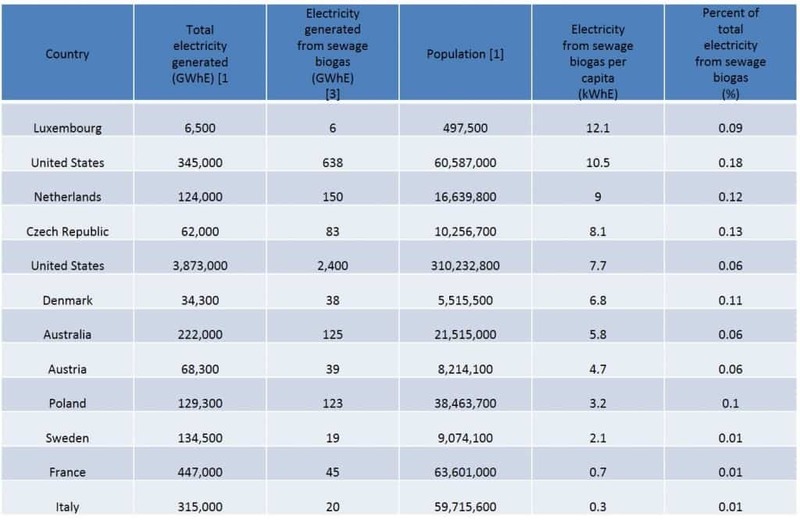 At the same time, excreta and wastewater sludge – if not managed properly – can be dangerous to human health and the environment. From Where Ch4 Come From………? 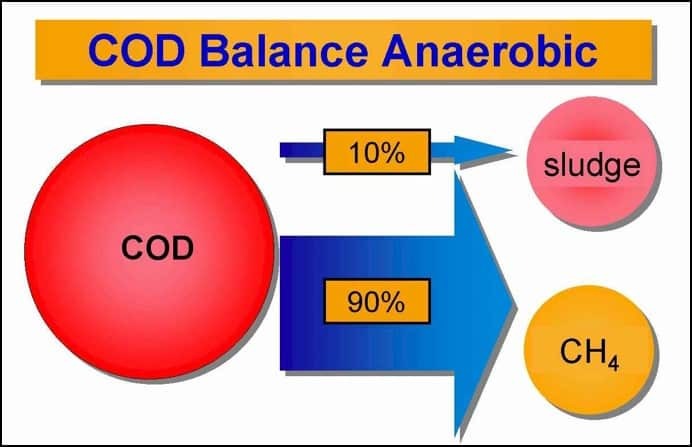 During Anaerobic treatment process of sewage (carried out in the absence of O2) for the stabilization of organic materials CH4 ,CO2, NH3, H2O, H2S are end product . Capacity stp : 62.5 mld unit i. 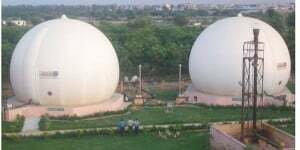 Existing plant producing bio gas continuously and excess gas is flared. Chiller unit : to remove moisture from gas coming gas from the scrubber through the blower, by cooling the gas to low temperature by condensing the moisture. A shell and tube type heat exchanger will be used for this purpose. Oxidation from Bio Gas. Scrubing is being done at Delawas Using NaoH, H2S gets absorbed in water, The gas from the bottom of the Scrubber enters the packed Column while liquid is collected in the Tank for recalculation. In the II stage of scrubbing, gas is scrubbed with caustic solution in a packed Column. The Column is provided with ceramic rings to have enhanced surface area for mass transfer. This is a counter current scrubber and provides high scrubbing efficiency. caustic solution ensures effective reaction of H2S and CO2 and their removal. Power can be generated from bio gas from following machines. Gas engine is most suitable and efficient for present application. Among the three types of engine gas turbine is not used for bio gas fuel since it is not suitable for low capacity. 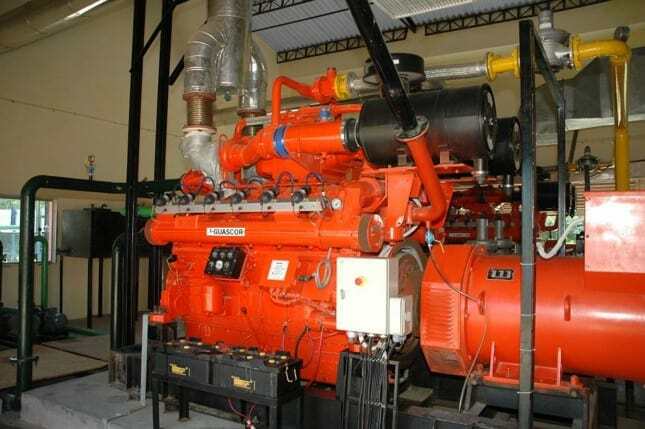 Dual fuel engine is used in remote area where normal power supply is not available or erratic. 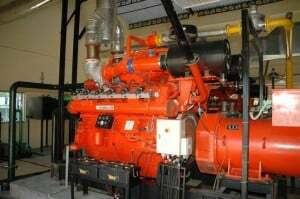 This engine can be run either with diesel or with biogas & diesel combination. Dual fuelengine needs more maintenance and diesel storage. 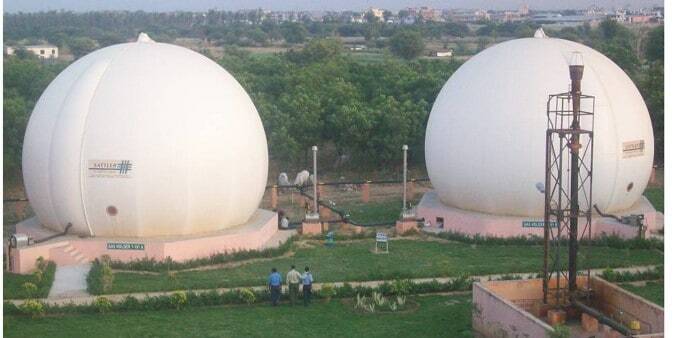 In winter due to low atmospheric temperature gas generation in digester is reduced. 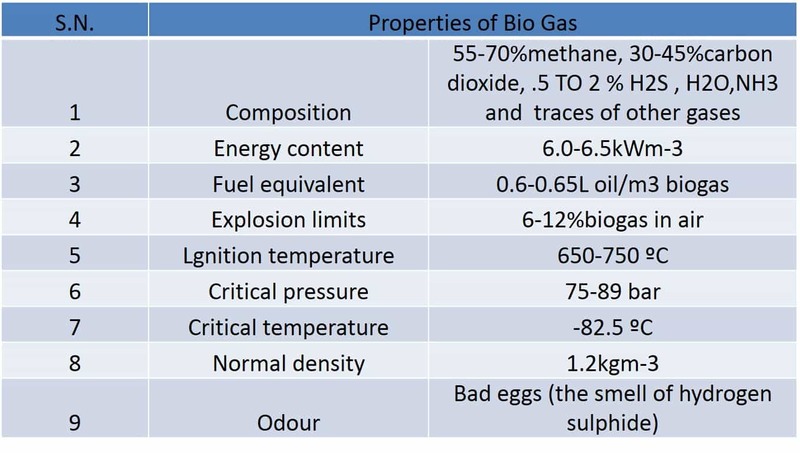 Other cost effective technologies can be used to reduce hydrolysis time and over all srt of anaerobic process, minimization of toxicants and inhibition factors to increase quality and quantity of bio gas. Overall process of anoxic decomposition, showing the manner in which various groups of fermentative anaerobes cooperate in the conversion of complex organic materials ultimately to methane 1 CH42 and CO2. 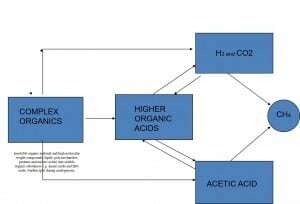 Acetate and H2 + CO2 from primary fermentations can be directly converted to methane, although H2 + CO2 can also be consumed by homoacetogens. 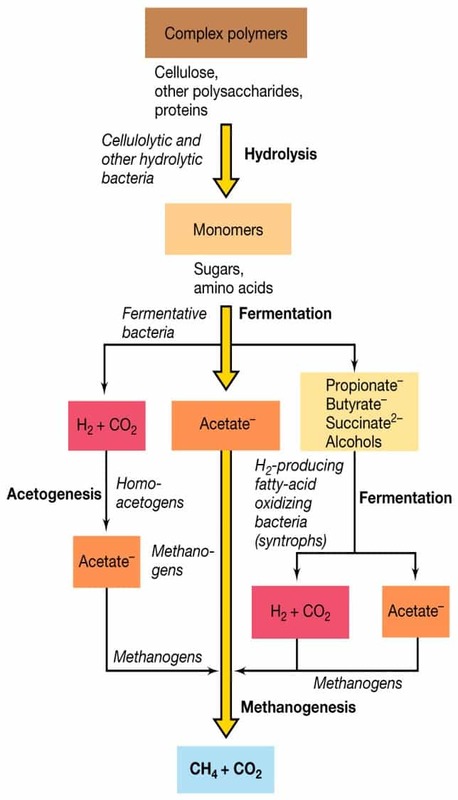 But note how the syntrophs play a key role in anoxic decomposition by consuming highly reduced fermentation products in a secondary fermentation. 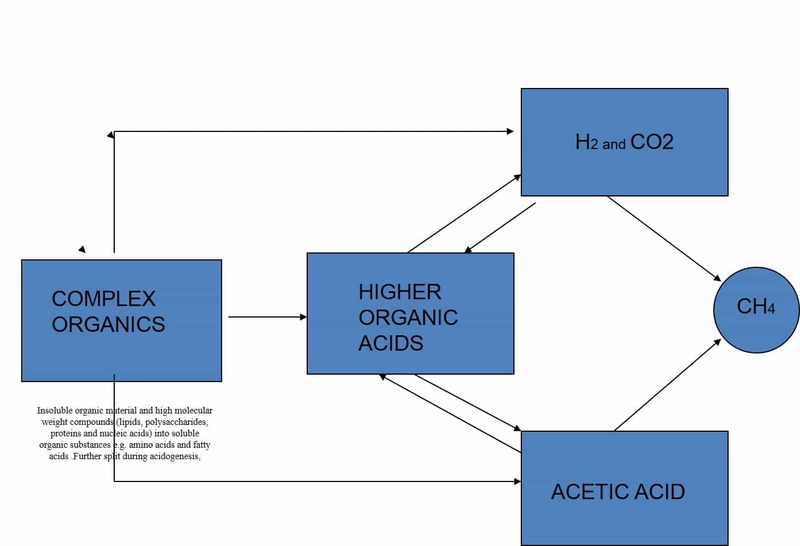 By activities of the syntrophs, fatty acids and alcohols are converted to the substrates for methanogenesis and acetogenesis. This picture holds for environments in which sulfate-reducing bacteria play only a minor role, for example, in freshwater lake sediments, sewage sludge bioreactors, or the rumen. If alternative electron acceptors are abundant, as for example, sulfate in marine sediments, anaerobic respiration prevails, as syntrophs cannot compete for fatty acids/alcohols with sulfate-reducing bacteria or bacteria carrying out other forms of anaerobic respiration.